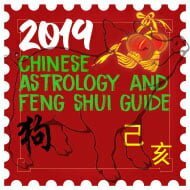 Home » Feng Shui, astrology, traditions – truth, superstition or myth? 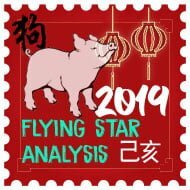 Feng Shui, astrology, traditions, truth, superstitions or myth? I was born in Hong Kong in 1958 and I would estimate that 35% of my Feng Shui consultancy clients are from China, Malaysia, Singapore and other Southeast Asian countries. Much of Chinese culture is based on superstition as it is in most countries around the world and Great Britain is no exception, we salute at Magpies and wish them a good day, we do not walk under ladders, we avoid numbers like #13. Chinese culture is rich in customs, traditions and superstitions and personally I do observe them with respect but also take some of them with some uncertainty. I will let you decide. Nails should never be cut or filed at night because it brings financial problems. According to the Chinese superstition, descendants of the deceased should not cut their hair for 49 days as it said to bring bad luck to the family. You should not whistle at night as it is believed that doing so will attract the attention of wandering spirits who then follow you home. You should never shake your leg as is believed that you will shake your wealth and overall good luck away. This is something I would never do and always make a point of letting people know when I see them doing it. You must never have a long fringe. You should never cover your forehead with hair as it is said that it will block your luck and cause a serious block on your wealth luck and is particularly pertinent to men. Men’s foreheads are said to be the part of the face that attracts wisdom, success and good fortune. You will find that successful Chinese men often sweep their hair to one side. This myth I seriously believe in and it has nothing to do with the fact that I am as bald as a coot. Never sleep with a mirror facing onto your bed. You should never place a mirror directly facing your bed pointing towards your feet, this is a big Feng Shui taboo and some Feng Shui masters even say you should have no mirrors at all in a bedroom, and one of the explanations is this can bring a third party into a relationship. It is also believed that having a mirror directly reflect onto the bed causes the spirit of your sleeping soul to enter into the mirror and you may not be able to return to your body when you wake up in the morning. Another explanation is that the mirror attracts wandering spirits who come to steal your consciousness and others say that when you sleep your soul wanders and when it leaves your body it becomes scared of its reflection in the mirror. Personally for whatever reason we have never had a mirror facing onto our bed and even with a home we had back in the 80’s that had a fitted dressing mirror looking onto the feet of our bed, we used to cover it in cloth every night. Protecting your money luck. If you want to make sure money does not leave your home or shop, make certain not to sit on the counter where the cash register or important papers are placed. You should make the cash register area like a shrine and must be kept spotless at all times. It is also believed that you should never step on the threshold of any doorway into a building. It is said that the threshold is the pulse of the building and stepping on it destroys the essence and qi of the home, shop or office. You should also place faceted crystal spheres close to a cash till and all important financial papers should be stored with a wealth God talisman. You will probably find different views on this one but some websites will say – never sweep away, always sweep inwards, you should never use a broom to sweep outwards at the front of a shop or business. You should always sweep inwards from main door and then progressively work your way to the back of the shop or business. Personally I do not agree with this, I feel by doing this you are sweeping in all the stagnant qi that has been sitting dormant and then sweeping into the building. We always start from the centre and sweep/vacuum towards the door, this way the stale qi is swept outside, I will let you decide. You should also never hit another person with a broom, the hitter will get bad luck and he will ruin his life even if it is done in jest. Never place chopsticks vertically into your rice bowl as this is a sign of ancestor worship and spells yin spirit formation, bringing bad luck. Never point the knife or fork directly at someone, as this is a hostile signal and can cause the other party to have an accident and considered extremely rude. Chinese superstition is that if you point at the moon with your index finger it will make your ear tips fall off… Not sure I believe this one. In Chinese superstition, the number 4 is considered unlucky. Hence this number is unacceptable for telephone numbers, vehicles and buildings. It is because the number 4 in Chinese has the pronunciation similar to the word ‘death’ and in Asia you will often notice that the fourth floor in apartments and hotels will not exist. One of our most active web pages is one that we wrote about numerology and how to deal with inauspicious door or telephone numbers, take a look here…. Auspicious numbers are considered to be the numbers 8, 18 and 168 and those who are on a gambling or on business trip prefer these rooms with the above numbers in them. Personally we use these numbers quite a bit with pricing of our goods and services. Chinese New Year. 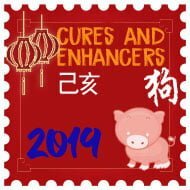 The whole house, shop or office should be meticulously cleaned before Chinese New Year’s Day. On New Year’s Eve, all brooms, brushes, vacuum cleaners, dusters, dust pans and all other cleaning equipment must be put away. Sweeping, cleaning or dusting should never be done on New Year’s Day for fear that good fortune will be removed. Personally this is something we religiously practise and go to great lengths. 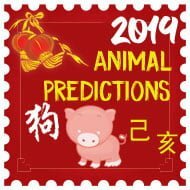 If you follow this link you will find more details on Chinese superstitions on or around New Year’s Day. 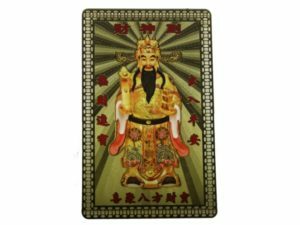 This is only a few of the Chinese and Feng Shui superstitions, there are thousands of them and as I said all cultures all over the world have them and some are respected and others laughed at. My wife Josephine is English/Italian and I can remember when her dad had a high fever and Jo’s mother placed uncooked sliced potatoes in a muslin cloth and put them on his forehead to bring down his fever, I laughed when she told me and in case you are wondering if it worked, believe it or not, yes it did, always keep an open mind. Please leave some comments below on other traditions and superstitions that you have come across, I love reading them.